Good News to all Forex Cargo customers. The management have decided to continue the January Promo Sale(until further notice) to give way to our kababayans who have not yet avail of the special discounts. February is usually a special month especially for the teenagers and the young at heart. 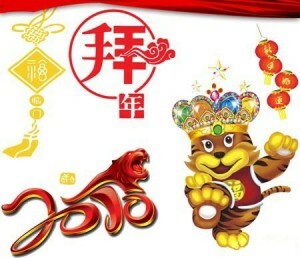 It is made more special this year since the Chinese New Year will also fall in the same day. As we all know, Celebrations for Chinese New Year is getting so popular in the Philippines that even a lot of our kababayans are following the Chinese tradition to welcome the Year of the Tiger. To help you get an insight of what is in store for you this year, Click On This LINK.